Today, Nasser takes other girls’ cases for free and works to help raise Yemen's legal age for marriage. Both Nasser and Nujood received a Woman of the Year Award from Glamour magazine. “When I got married I was scared,” remembers 10-year-old Nujood Ali. “I didn’t want to leave my family and siblings.” In her home country of Yemen - a deeply conservative Middle East Muslim nation - this situation isn’t uncommon. 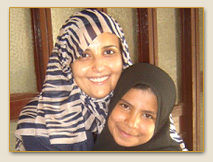 Yemeni lawyer Shada Nasser had long opposed the practice of early marriage when, in April 2008, she got a chance to do something about it. Arriving at the courthouse one day, Nasser was told about a young girl who had come to court alone. She met Nujood, who told her that she was desperate, she was regularly beaten and raped; she wanted a divorce. After Nasser took Nujood’s case, reporters packed the courtroom. When the judge dissolved the marriage, the story made headlines around the world. Since then, Nasser has volunteered to help other young brides, and is working to raise the legal age for marriage in Yemen. 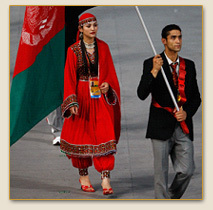 Beijing, August 2008: 22 year-old sprinter Robina Muqimyar did not have a qualified trainer, she had no sponsor, and she came from a country ruined by war. She grew up under hard-line Islamist rulers, who would not allow girls to play sports. Little wonder that she did not win a medal at the Beijing Olympics. Sisters in Islam seeks to challenge the hold that conservatives and traditionalists have on interpretations of Islam in Malaysia . It also assists individual women in their struggles against the at times oppressive courts in Malaysia .. In 2008, Anwar decided to step down to give way to young blood to continue the fight for Muslim women’s rights. But hers will be a tough act to follow. 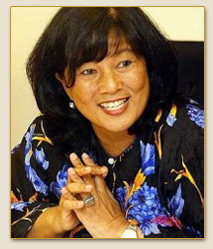 Zainah herself remains on the board of SIS. She concurrently serves as project director for the SIS-initiated global movement for justice and equality in the Muslim family. She is also tries to bring awareness of their rights in Islam to girls in universities or upper secondary schools. Bamian, Afghanistan - Far away from the Taliban insurgency, in this most peaceful corner of Afghanistan, a quiet revolution is gaining pace. Women are driving cars - a rarity in Afghanistan - working in public offices and police stations, and sitting on local councils. There is even a female governor, the first and only one in Afghanistan. In many ways this province, Bamian, is unique – but the changes in women’s lives here are also an enormous step for Afghanistan as a whole. And they may point the way to broader possibilities for women, eventually, if peace can be secured in this very conservative Muslim society. to join the police force in Bamian. 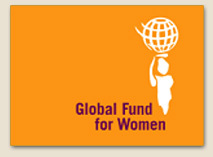 San Francisco, October 29, 2008 - The Global Fund for Women, the world’s largest foundation exclusively dedicated to the advancement of women’s human rights, announced their September 2008 grant docket last month of almost $1.7 million to 121 grassroots women’s groups in 60 different countries. The grants, ranging from $2,000 to $75,000, will go towards ending gender-based violence and building peace, and expanding women’s political and civic participation. 29 October, 2008 - The Riyadh Women’s University, which is designed to become the world’s largest institution of higher learning exclusively for women, will have 13 colleges, including those for medicine, dentistry, nursing, naturopathy and pharmacology and a 700-bed hospital. The project will be completed by 2010. Princess Al-Jowhara bint Fahd is president of the university and says it will usher in a new era in higher education for women in Saudi Arabia. 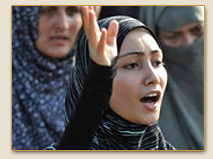 October 2008 - some of the world’s leading Islamic feminists have been gathering in Barcelona for the third International Congress on Islamic Feminism, to discuss the issues and problems women face in the Muslim world. Their aim is the construction of a new civil society worldwide, based on a culture of human rights and Qur’anic values such as democracy, social justice, freedom of conscience and gender equality.